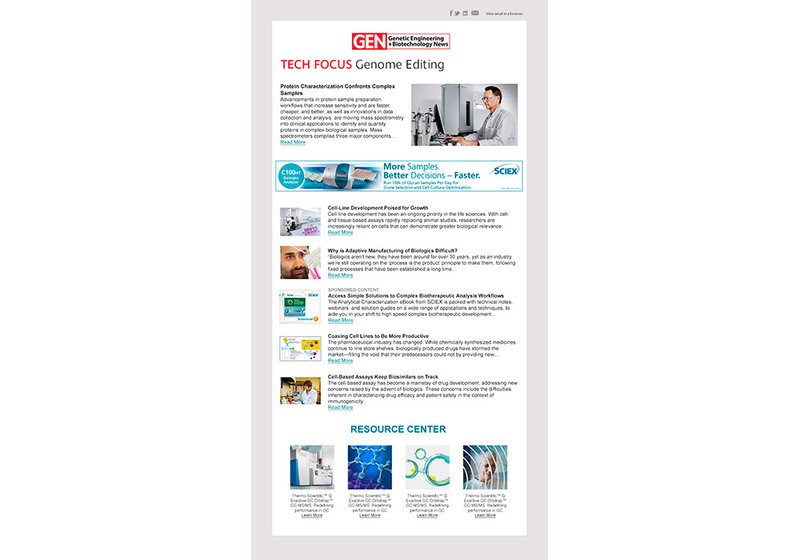 GEN Tech Focus delivers a critical summary of what industry leaders need to know within a core area of biotechnology, strategically designed and mobile-optimized for the highest level of engagement. 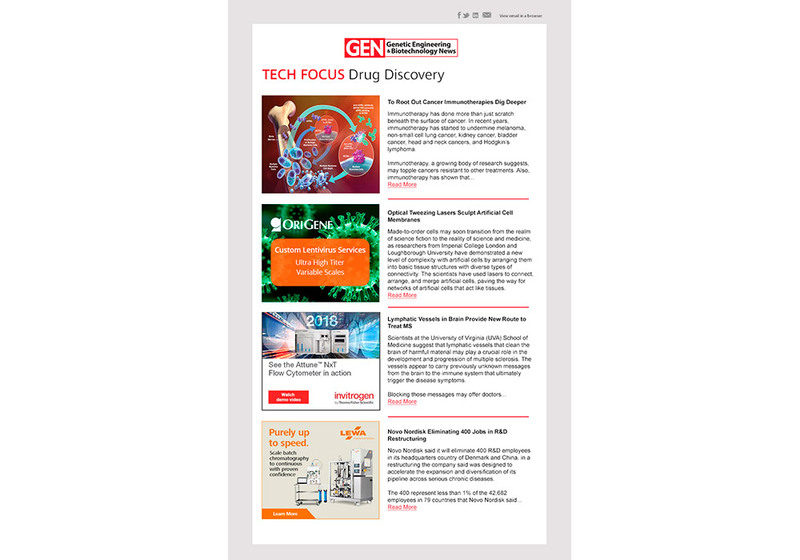 Delivered to a targeted, fully opted-in email audience with an expressed interest in OMICS, Drug Discovery, Genome Editing, or Cancer Research, GEN Tech Focus ensures increased levels of purchase consideration by reaching your target audience as they’re seeking new product information. Exclusive single-sponsor opportunities available: Designed to comprehensively showcase your brand or product, ad positions surround content and can contain multiple creatives and link to various assets that support your message and drive results. Topic(s) chosen to fit your brand.